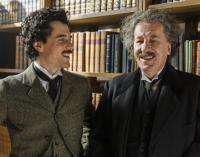 Nat Geo premieres GENIUS, their first-ever scripted series, which is executive produced by Brian Grazer and Ron Howard. GENIUS is not the Einstein story that you think you know. Well before the theory of relativity, Albert Einstein was a brazen young man distracted by love, family and a strong desire not to conform. This is the story of the man behind the mind. On Sunday, April 16, 2017 at 8pm, STARZ premieres THE WHITE PRINCESS, a gripping eight-part historical drama series drawn from the novel of the same name by Philippa Gregory, and part of The Cousins’ War book series. THE WHITE PRINCESS sees England ostensibly united by the marriage of Princess Elizabeth of York (Lizzie) and King Henry VII, but their personal and political rift runs deep and the divide between them threatens to tear the kingdom apart once again. 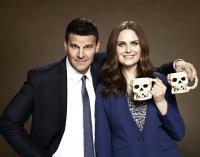 Farewell BONES Series Finale: Viewing Party Menu, Interviews, Fun Facts, Photos & More! On Tuesday March 28, 2017, after 246 episodes and countless “I don’t know what that means,” FOX says good-bye to the beloved, long-running series BONES. The final episode, “The End in the End,” is beautifully directed by series star David Boreanaz and is both powerful and poignant. The finale picks right where episode 11, "The Day in the Life,” left off…with Booth, Brennan, Angela, Hodgins and Cam caught in an explosion after they were trapped in the laboratory. The final chapter of BONES, the long-running series beloved by millions of fans around the world, premieres on Tuesday, January 3, 2017 at 9pm ET/PT on FOX. The 12-episode run celebrates the inventive series and brings the storylines of Brennan, Booth and the Jeffersonian-FBI team to a close, allowing loyal fans to say goodbye to these indelible characters -- with suspense and heartbreak, as well as laughs and fun surprises. This contemporary spy series takes a look at the activity of an American CIA office on a global stage in the midst of an investigation into a now-infamous whistleblower. This case and the myriad of others the Berlin Station team takes on are international in scope and are as riveting and real as today's news headlines. BERLIN STATION has already been renewed for its second season. Of all the planets in our solar system, none has captured our collective imagination like Mars. Follow the first human mission to Mars, set in 2033, as the crew struggles to safely land on and colonize the planet. Tracing the thrilling quest to make Mars home, National Geographic presents MARS, a new breed of programming that blends cinema-quality scripted drama set in the future with documentary sequences that features current space-technology pioneers. This Sunday night, September 18, 2016 LIVE from 5-8pm PT / 8-11pm ET on ABC, television celebrates its best and brightest when the Academy of Television Arts & Sciences hands out its golden trophies at the 68th Primetime Emmy Awards, live from the Microsoft Theater in Los Angeles. 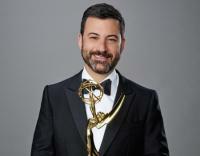 Hosting the festivities this year is late-night host Jimmy Kimmel who is helming the Primetime Emmy telecast for the second time. 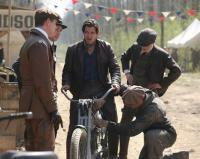 If you like men, machines and the American Dream...then HARLEY AND THE DAVIDSONS doesn’t disappoint. Discovery Channel's three-part, six-hour miniseries admirably captures the struggles and excitement in the pursuit of building one the most recognizable brands in the world. It’s a legacy that has endured over 100 years -- and at the heart of the brand and its loyal riders. America, get ready for a colorful array of variety acts and contestants of all ages as NBC's summer series AMERICA'S GOT TALENT returns for it's 11th season beginning tonight at 8pm ET/PT. New judge Simon Cowell will highlight this season. Returning are host Nick Cannon and judges Howie Mandel, Mel B, and Heidi Klum. The 68th Primetime Emmy Awards nominations were announced by Anthony Anderson and Lauren Graham. GAME OF THRONES again tallied the most nominations (23), limited series THE PEOPLE V. O.J. SIMPSON: AMERICAN CRIME STORY and FARGO received 22 nominations and 18 nominations respectively.